Quality matte printing of the Album Release show on March 19th. Designed by Nikki Barron. You know that part in your favorite indie flick when the guy finally gets the girl, and they embrace in a passionate kissing session beneath the falling rain? 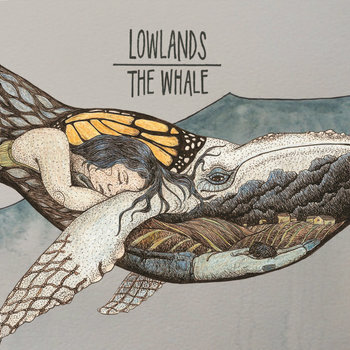 Lowlands practically wrote the soundtrack. Not literally, of course, but in a folksy, "lull me with your tender words" sort of way. 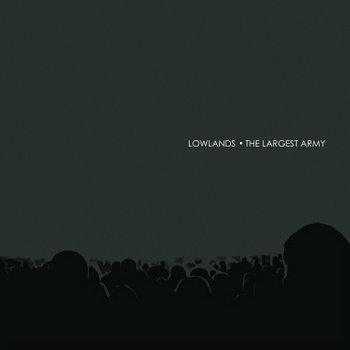 The Largest Army encompasses the passion and prowess necessary to truly pull off a successful indie-rock album. It's crisp and smooth, with warm vocals and a wave of tension that pulls and pops effortlessly. Tom Rorem has a deeper, shapely voice that stands out in a genre run by guys that almost always sound like they're wearing black glasses and a plaid shirt. In the standout song, "Pilgrims Progress," Rorem's voice has a Yoni Wolf spark to it, which shines the most when the instruments fall away and he sings over a snare drum with a stick tapping the rim: "I'm a heart without a lover, like a bird without a beak, adding to this conversation, in a language no one speaks." There's a cerebral speck of Transatlanticism, the stylistic musings of Andrew Bird post-Squirrel Nut Zippers, and the undertones of The Decemberists, which creates a beautiful, deeply layered experience of harmonies, witty one-liners and tempo changes. More than anything, it's a one-of-a-kind and incredibly necessary record that dares to challenge the pop-dance zombie culture that's taken over radio stations and clubs.